Namaqua Brings Friends Together again! 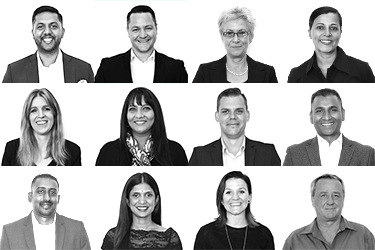 Following the success of their last Namaqua Friends campaign, Namaqua Boxed Wines have again partnered with industry specialists TLC Marketing to Bring Friends Together. Namaqua are experts in crafting wines to be enjoyed, pure and simple. And the best way to enjoy wine is with friends. Namaqua is the conduit for shared experiences with friends, hence the campaign Namaqua Friends. The objective of the campaign is to increase sales whilst connecting with consumers. 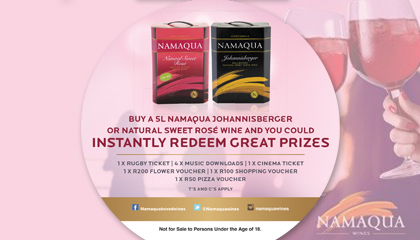 When the consumer purchases a box of Namaqua Sweet Rose or Johannisberger White wine they will be required to enter via a USSD line using a unique code to receive their instant rewards. Rewards range from a movie ticket, to shopping voucher and even a pizza voucher - rewards that you can experience with friends. The campaign will be communicated on pack and runs till the 1st of October 2016.